The imagePROGRAF iPF830 brings in new capabilities to high-volume inkjet printing for the imagePROGRAF line. With a 320 GB hard drive and Sub-Ink Tank system, these printers can fit virtually into any high-volume, inkjet workflow. 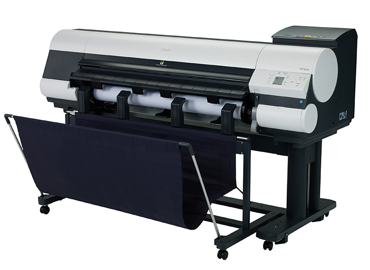 Engineered for speed and precision, this 44" large-format printer is an ideal solution for the Technical Documents market. For printing complex full-color renderings, GIS maps, as well as CAD, MCAD and ECAD drawings and documents, the imagePROGRAF iPF830 is a premier printing solution. With exceptional line accuracy, high speed throughout, a 320GB hard drive and on-board support for HP-CL/2 and HP RTL files, printing in large-format with incredible detail is quick and effortless.